You are at:Home»Local Guides»Brisbane»Asian Star on Meadow: Brisbane’s Best Asian Brothel? Step inside one of Brisbane’s best Asian brothels: Asian Star on Meadow. 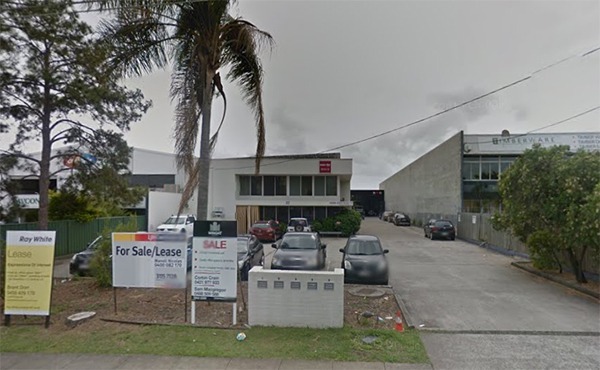 Asian Star is an adult entertainment club located on Meadow Avenue in Coopers Plains. It is one of the most popular brothels in town for guys who like their women petite and Asian. Most of Asian Star’s women are from China and Korea, with a few from Thailand and Japan. They say that they have Singaporean and Vietnamese women too, but the current roster doesn’t reflect this. The brothel is set in a discreet industrial-looking building. It has clean rooms and a simple interior. You shouldn’t come here expecting the 5 star luxury spa treatment that is available in some of the CBD brothels, but it is fine nonetheless. Upon arrival, you will be introduced to a lineup of 5-8 women; sometimes more during the busier night shifts. This brothel operates prices in line with the rest of the Brisbane adult scene. Payment is broken in to two parts: a room fee (directly to the brothel), and a payment to the lady. Prices correct at the time of publication but may have changed since. Please refer to their website for the latest up-to-date pricing. Unlike many Brisbane brothels, there is only a minimal difference between day rates and ‘prime time’ night rates. All of these prices include GST. Looking for extras or a special kind of service? Some of the ladies at Asian Star provide additional services, but these are not advertised. Any agreement must be made in person and may incur extra charges. A view of Asian Star on Meadow’s brothel from directly outside, via Google Street View. Jessica — A 19 year old Chinese student, size 8, bubbly and pretty. Candy — A cute Korean, Size 8, C cup, in her 20s. Hannah — Petite Korean girl, limited availability. Venassa — A Vietnamese lady. Sunny — A new girl from Korea. Judy — Young Chinese girl, petite and long brown hair. Cici — Another Chinese student, 21 years old, C cup, pretty and slim. Ruby — Described as a ‘cute China doll’, and new to Brisbane. Kitty — New Chinese girl. Gia — Half Korean, half Chinese. Olive skinned beauty. Micky — A pretty Japanese girl. Nana — A Korean model with an elegant classy look. Sophia — Chinese girl, size 8, long curly hair. Asian Star regularly attracts new girls from Asia, particularly students and college girls, so the lineup is likely to change through 2016/2017. They say that their lineup changes every two weeks, so give a call in advance if you are seeking a specific lady. If you want to check who is currently working, Asian Star has a useful ‘Who’s On’ page. Ideal for picking out your favourite! There are parking spaces available at the front of the premises, but if you require discreet parking, there is also an undercover area on the left hand side of the driveway. It is marked by a sign that says Asian Star Garage, near which there is a side entry to the establishment. The busiest period is between 7pm to 1am. Asian Star has received a 3.7 rating from 13 reviews on Google. We have no idea how that happens. Have you been to Asian Star on Meadow? What did you think of the brothel? Let us know if you had a good or bad experience.